Darlene Marie Darilek, age 70 of Chattanooga, passed away on April 13, 2018. She put herself through school at the University of Houston while working for Exxon and received her degree in Accounting. She continued working for Exxon for twenty years before leaving to start her own business, a child care center. She was an Accountant and a Manager at Marion Environmental for 26 years of faithful service. She enjoyed playing tennis and skiing in her youth and enjoyed playing her piano throughout her life. Darlene was preceded in death by her parents, Edward and Elsie Darilek. 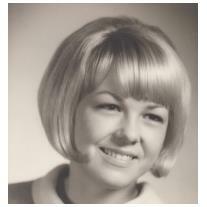 Those left to cherish her memory include: sons, Brad Evans and his wife Jessica, and Aaron Evans; brother, Glenn Darilek and his wife Ruth; sisters, Barbara Rose and her husband Robert, Joyce Tax and her husband BJ; grandchildren, Katelyn Evans, Mallory Evans, Oliver Evans, Edward Evans, and Kylor Evans; several nieces, nephews, and host of friends. The family will receive friends 5pm – 7pm Tuesday at Lane Funeral Home on Ashland Terrace. Rosary will follow at 7pm. Memorial Service will be at 2pm Wednesday in the Chapel.